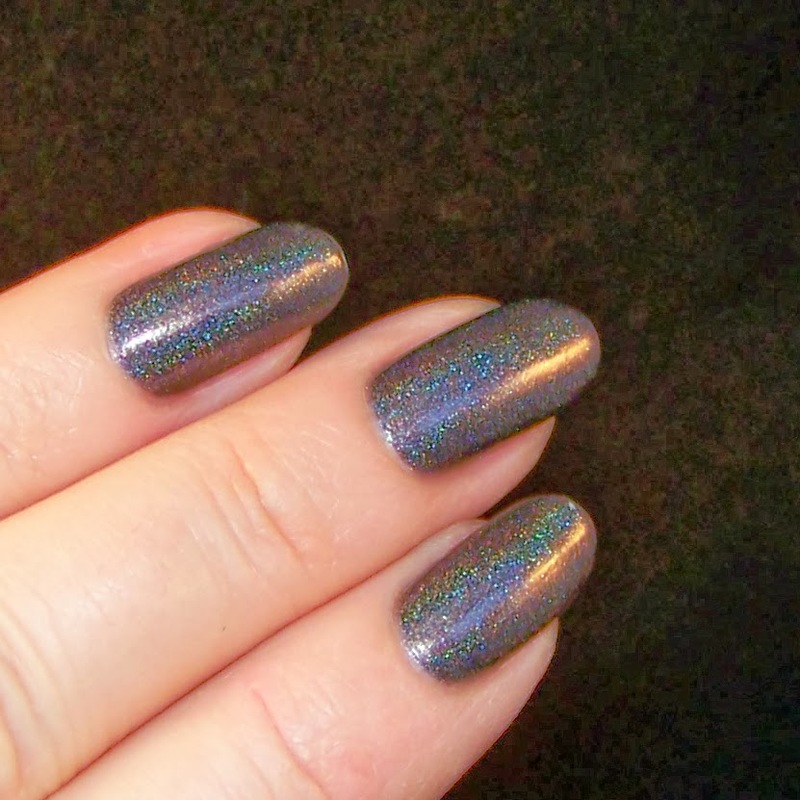 Presenting a Femme Fatale Cosmetics exclusive Lilypad Lacquer today. I got both of them, Nightsky Rift and Chocolate Truffle. Both are really beautiful! Today it is Chocolate Truffle on display. 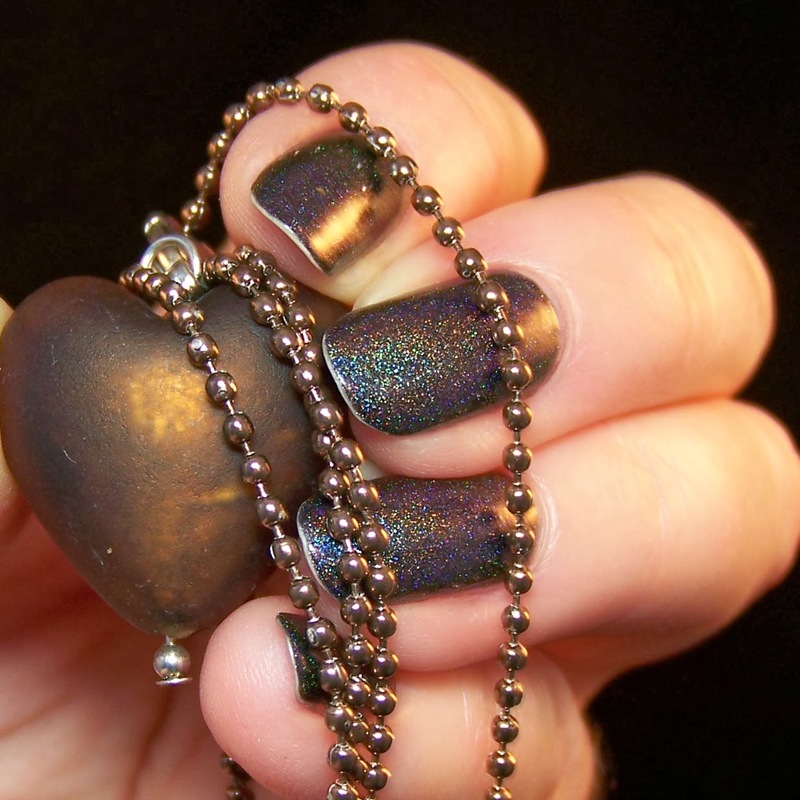 It is a dark rich brown, like dark, bitter chocolate, with a strong linear holo that flashes in many colors. No need to mention the formula, impeccable as always. Could be a one-coater but i used two. 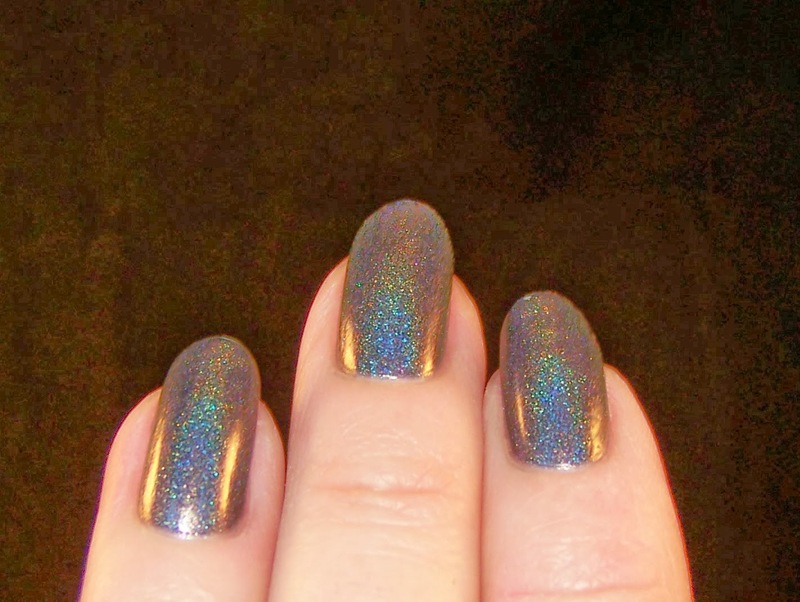 Sally Hansen Hard as nails as base coat and Orly Sec'N Dry on top. 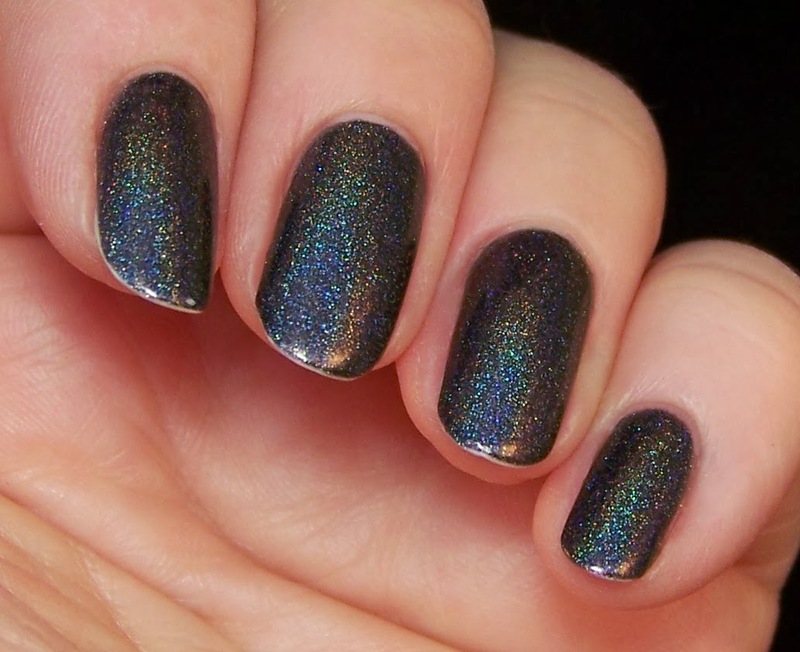 I have found that this combination works very well for me and my nails. 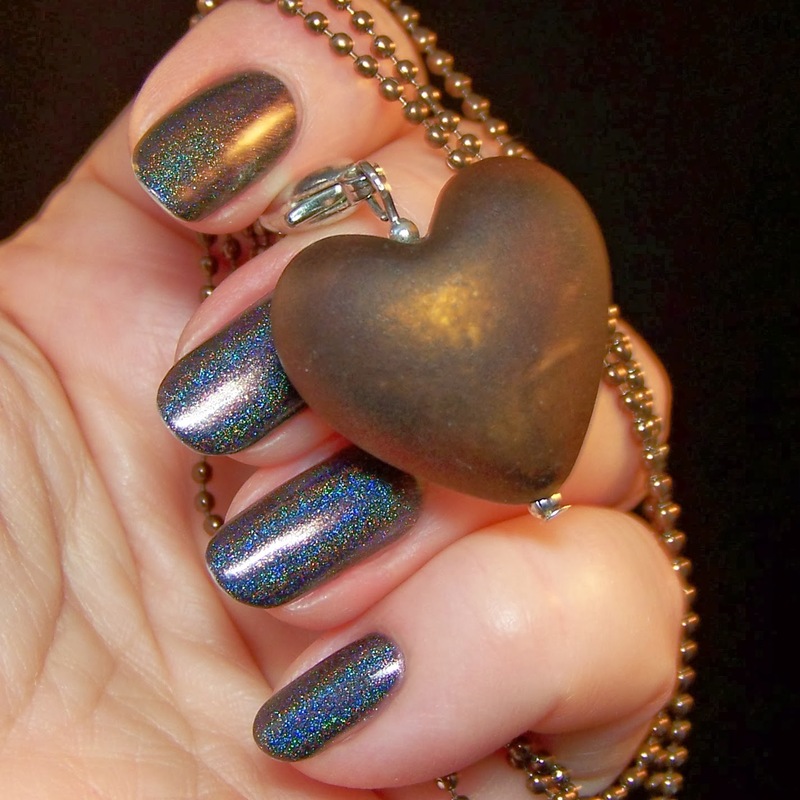 I took photos with both one and two layer of diffuser to try and catch both the beautiful chocolate brown color and the stunning holo.